Wet, windy and chilly this Monday evening on California’s north coast — supposedly sunshine forecast for tomorrow and then dry for the next week or so. Worse still than just being a mean-spirited, vengeful moron, one end-result to the unmitigated horror of the T-Rump — the spiteful, racist-cruelty of the Immigration and Customs Enforcement agency. Jose Gonzalez Carranza, 30, was arrested in Phoenix, Ariz., last week by ICE assholes and way-quickly deported. Carranza was married to a U.S. soldier killed in Afghanistan and they have 12-year-old daughter. “I feel so bad,” Gonzalez said. Gonzalez was married to Army Pfc. Barbara Vieyra, who was killed on Sept. 18, 2010, while serving in the U.S. Army in Afghanistan. Vieyra was mortally wounded when insurgents attacked her unit using an improvised explosive device and rocket propelled grenade fire in Kunar Province, Afghanistan, the Pentagon said at the time. Her unit had been sent to Afghanistan as part of Operation Enduring Freedom. But the reason Gonzalez didn’t show up is because he never received the notice, Hernandez said. He said ICE sent it to the wrong address. Hernandez said he filed a motion to reopen Gonzalez’s deportation case. The motion triggered an automatic stay of removal, but ICE deported him anyway, Hernandez said. Trump allegedly directed secret hush money payments to women alleging they had affairs with him years ago. 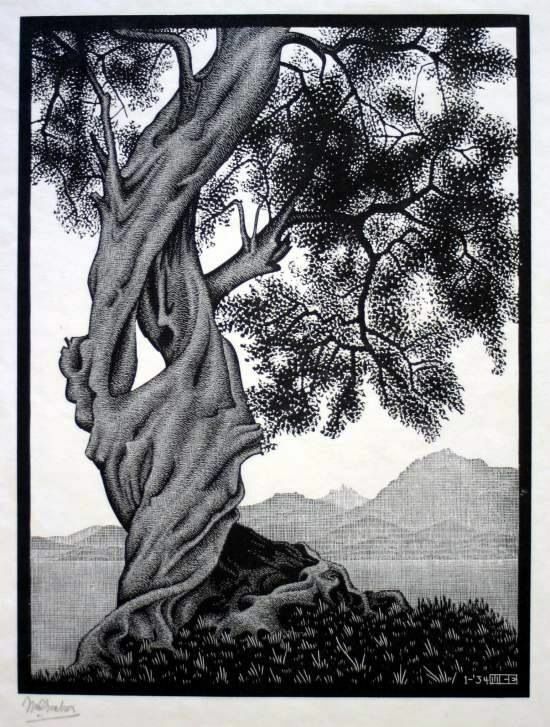 (Illustration: MC Escher’s engraving, ‘Old Oliver Tree,’ found here.